Category: architecture, design, events, riea, urbanism, What Does It Mean? 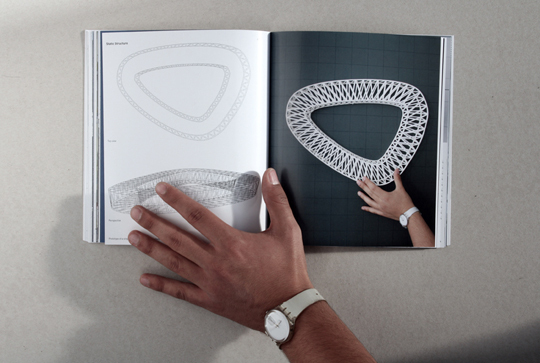 ‘Highwaying’ is a publication by professor Guy Lafranchi and designers Lukas Ingold and Fabio Tammaro of the experimental design studio HighwaING’, at the Berne University of Applied Sciences in Burgdorf, Switzerland. The book presents a project by Ingold and Tammaro which is the outcome of an experimental design study on highway infrastructure. The aim of the study to develop innovative strategies for dealing with uncovered areas and negative spaces of highway systems: the infrastructural heritage of the 20th century. In light of the fact that mobility and transportation are central to the future of urban development, Lafranchi, Ingold and Tammaro take on the unexplored urban landscape of highway systems to expose through experimental techniques their hidden potential and possible role in the cities of the future. 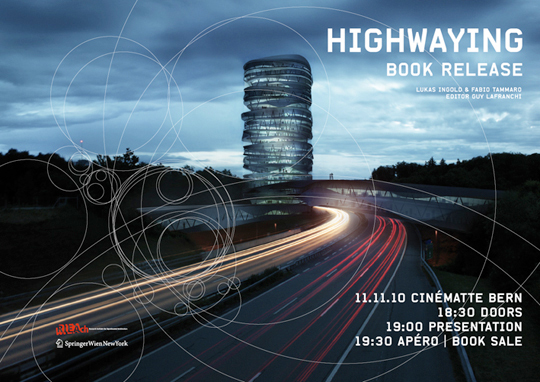 The authors will be present at the book launch on November 11 2010 in Berne with drinks to follow.